One of the biggest advantages that self-publishing PDF patterns give us as designers is the ability to test the market in a very low-cost way. 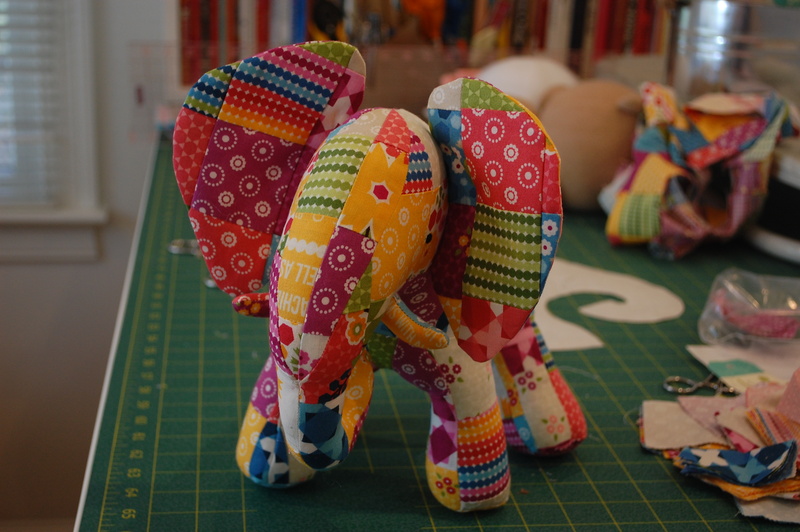 In June of 2009, almost seven years ago, I made a piece of pink patchwork, cut it apart, and sewed it into an elephant. You can see it here. Every few months after that I would get an email asking if I had a pattern for this design. I’d have to say no, I didn’t have a pattern, but I could clearly see that there was demand for one. Finally, last summer, I made one. If you sell patterns then I’m sure you know that some designs sell much better than others and sometimes knowing which ones will be blockbusters and which will just sorta sit there is a mystery. Over time I’ve learned that the majority of people who buy sewing patterns for dolls and toys are making something for a new baby – either they’re having a baby or there’s a grandchild or niece or nephew on the way, or they’re going to a baby shower for a friend. There’s something about this life cycle event that makes people want to sew and, in fact, I think that life cycle events are often an introduction to sewing for many people. 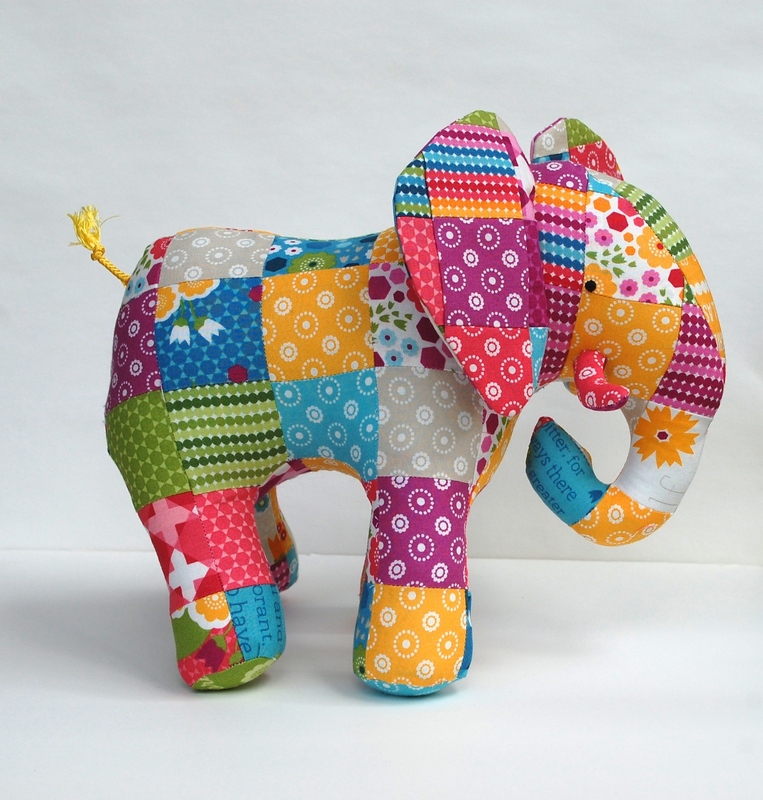 The Patchwork Elephant pattern has been for sale in my shop for nine months now (how appropriate!) and it’s done very well. I know that part of the reason for this is that it’s made from quilting cotton. Although I prefer fleece for softies, I know that many people already have quilting cotton in their stash and feel comfortable sewing with it, plus you can’t beat the variety of prints available. This pattern is made with a jelly roll which makes it easy and quick to sew the patchwork. When I chose the jelly roll for the pattern sample I wasn’t thinking about going to print with this pattern. I used a roll I found at Joann’s that’s exclusive to Joann’s stores and therefore totally unsuited to being the cover of a pattern that independent quilt shop owners would buy. To get this pattern read for print I bought a jelly roll from Moda. It’s Meadowbloom by April Rosenthal. I chose it because it’s cheery and gender neutral and could appeal to both modern and traditional tastes. This jelly roll is something many quilt shops carry and it gives me the option of carrying them myself so I can sell kits in the future. Over the next few months I’ll work on getting this pattern ready for print. This involves hiring an illustrator to turn my step-by-step photos into drawings, a graphic designer to do page layout, and a photographer to take the beauty shots. It’s fun to assemble the team and work together with other talented women to make this happen. Printing a pattern is expensive, but I’ve had really good experiences working with Checker and Brewer to get my first pattern, Harper the Owl, into quilt shops and I feel confident that this one will sell well, too. A big part of making a business like mine work is diversifying my income streams which means money needs to be coming in from all different projects simultaneously (podcast advertising, licensing, freelance writing, royalties, ebook sales, consulting, and on and on) and I’m enjoying having print patterns be one of those income sources. « Is Quilt Market Still Relevant When We See It All On Instagram? Cute design! I’m sure you know this already, but Lindsie (Design by Lindsie for anyone not familiar with her work) can do both the illustrations and layout for you 🙂 She does all my patterns and they turned out better than I could imagine!! This adorable. I’m curious as I embark on my first designs, up to what stage do you bring your designs and then give it to Lindsie? This is a great idea – and I would love to learn more. Thanks to both of you from a design newbie. I have all of the instructions written with step-by-step photos to accompany them as well as the text at the start of the pattern that describes the project and the copyright text. I have the templates drawn and digitized with all of the markings done. And I have the beauty shots finished. I hope that helps! SO sweet! Can’t wait for the printed pattern to be released. Thank you! I’m enjoying all the steps of the process and I’m excited to have the finished product in my hands, too. Hi Abby. I love this elephant! So colorful and fun! Is there a standard amount that one should order on the first round of having a pattern printed? Do the distributors require a certain amount for their stock? I am a ways off from printing patterns but I’m wondering what amount to obtain quotes on. You ask some great questions! I ordered 1,000 of my first print pattern because you get a price break when you order that many. The distributors each requested about 36 or so to use as samples for their salesmen before placing a first order. Then they place orders as needed. 1,000 seems to have been about right. You’ll also need hang bags for the shop display. Another great post about your process, and the elephant is adorable. Excellent point about choosing to create a pattern using quilting cotton instead of fleece . . . heading over to Etsy now . . .
Hi, Aby, my congratulations! I’m glad I can admire all the beautiful things on your page. I appreciate what wonderful things people can make. I make rag dolls and I really like my hobby. It makes me and other people happy. 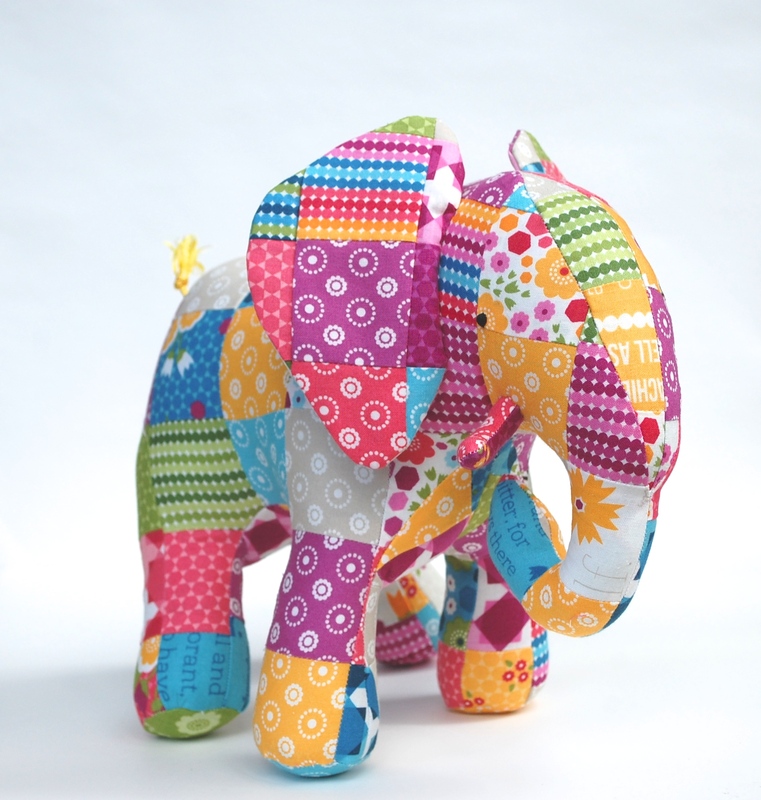 Hi Abby, I love your elephant and I think the new fabric really does a better job – it’s so happy and cuddly! I Also made some softies and dolls for my kids and created some of the patterns myself without thinking too much of that. Now I turned to quilting and I also design my quilts myself, that’s most of the fun for me – to go from an idea to the final thing. I really couldn’t see why people buy somebody else’s patterns when it’s so easy to make your own)) Now I’m getting to see more quilters and read more quilting blogs I think I start to appreciate that a following a well-made pattern can be as much fun as following your own idea and it takes off all the stress. I think I should consider creating patterns from my quilt designs. Thanks a lot for all the insider tips. You are very generous sharing your time and experience with all of us newbies. Great post. Good luck with the print pattern for this one. It’s gorgeous and sure to be a success…. Thanks for your Newsletter, I find it most interesting, informative and very professional. I was puzzled about your going to put your elephant into a print pattern, and having to hire professionals to improve the layout etc. I would think that a print pattern would be a “print” form of the pdf pattern? Why such a difference? 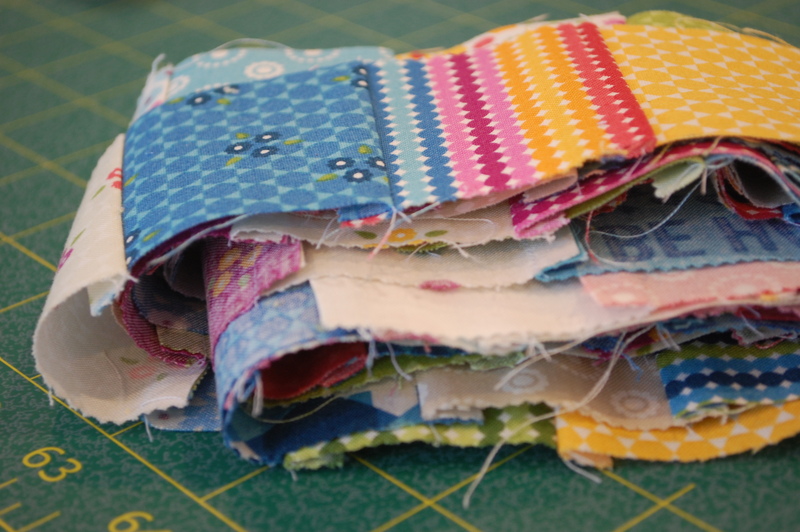 I may ask a very stupid question, but as a modest, beginner creator of three leaflets of instructions to make quilts, I’m still learning a lot…. Thanks for your work! Hi Maryline, For me a PDF and a print pattern are really different. In a PDF I can include tons of photos and the photos don’t have to be 300 dpi (which is high res enough for print). The text can spill over onto many pages and it doesn’t have to be formatted in any particular way. For print I’d prefer to have illustrations than photos and there’s a limit to how long the entire pattern can be. The cover and back cover need to be high res for printing and the interior is a pull out sheet that unfolds with the templates and instructions so it’s formatted to work that way. I hope that helps! Yes, it makes sense! Thank you very much for taking the time to answer my question! Good luck for “Adventure Elephant”!